The publication of Kirk Johnson’s book The Feather Thief: Beauty, Obsession, and the Natural History Heist of the Century sent shockwaves through the fly fishing and especially the fly-tying world. The book, which reads more like crime fiction than history, reveals the lengths to which fanatics can go in search of authentic materials to tie classic salmon flies. Kirk will discuss Edwin Rist’s transformation from a young fly-tying prodigy into the perpetrator of one of the largest natural history museum heists in a century. After a blow-by-blow of the heist, the police investigation, and the resulting sentencing, he will walk through his own descent into what he jokingly refers to as the “feather underground,” in a years-long search for the missing birds. 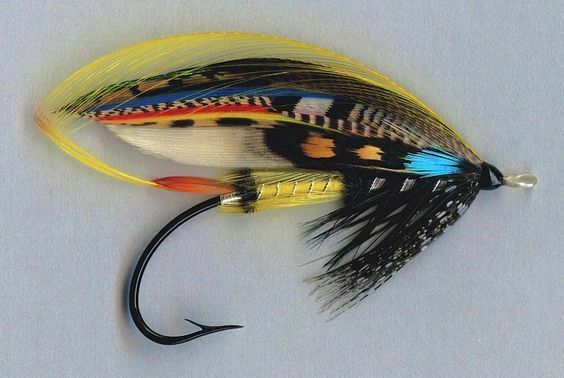 He’ll also give a sense of how the community has reacted or changed in the wake of the book’s publication, and what the future looks like for classic salmon fly-tiers.There will be plenty of time for questions. He will also be selling and signing books (cash or check only). “On a cool June evening in 2009, after performing a concert at London’s Royal Academy of Music, twenty-year-old American flautist Edwin Rist boarded a train for a suburban outpost of the British Museum of Natural History. Home to one of the largest ornithological collections in the world, the Tring museum was full of rare bird specimens whose gorgeous feathers were worth staggering amounts of money to the men who shared Edwin’s obsession: the Victorian art of salmon fly-tying.Rist had been there before, months earlier, posing as a student photographer. He was granted access to the collection, and used his time to case the place, taking photographs of the layout of the museum, and making a mental map of the location of each species. After scaling a wall behind the museum and breaking out a window, the champion fly-tier climbed inside and set out to work. He grabbed hundreds of bird skins—some collected 150 years earlier by a contemporary of Darwin’s, Alfred Russel Wallace, who’d risked everything to gather them—and escaped into the darkness. Kirk W. Johnson is the author of The Feather Thief: Beauty, Obsession, and the Natural History Heist of the Century and To Be a Friend is Fatal: the Fight to Save the Iraqis America Left Behind, which covers his work coordinating the reconstruction of Fallujah and his subsequent efforts on behalf of Iraqi refugees as the founder of the List Project to Resettle Iraqi Allies. His writing has appeared in The New Yorker, the New York Times, the Washington Post, the Los Angeles Times, the Washington Post Magazine, the Wall Street Journal, and Foreign Policy, among others. Johnson previously served in Iraq with the U.S. Agency for International Development in Baghdad and then Fallujah as the Agency's first coordinator for reconstruction in the war-torn city. He is a Senior Fellow at the USC Annenberg Center on Communication Leadership and Policy, and the recipient of fellowships from the American Academy in Berlin, Yaddo, MacDowell, and the Wurlitzer Foundation. Prior to his work in Iraq, he conducted research on political Islamism as a Fulbright Scholar in Egypt. Johnson received his BA from the University of Chicago in 2002. A resident of Studio City, Kirk is an avid fly fisherman.